Market offers you many devices that can be used to restore hair growth. From the first glance you can see that all laser helmets have a lot of differences that affect the success of the procedure. It’s not just the cost of hair restoration. Laser helmet must be effective. 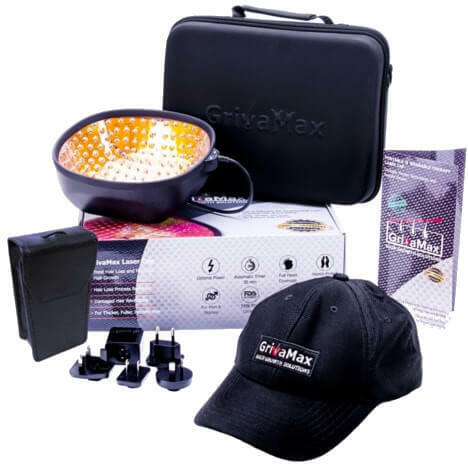 In this article we’ll compare laser hats and their effectiveness and will help you to avoid extra expenses. 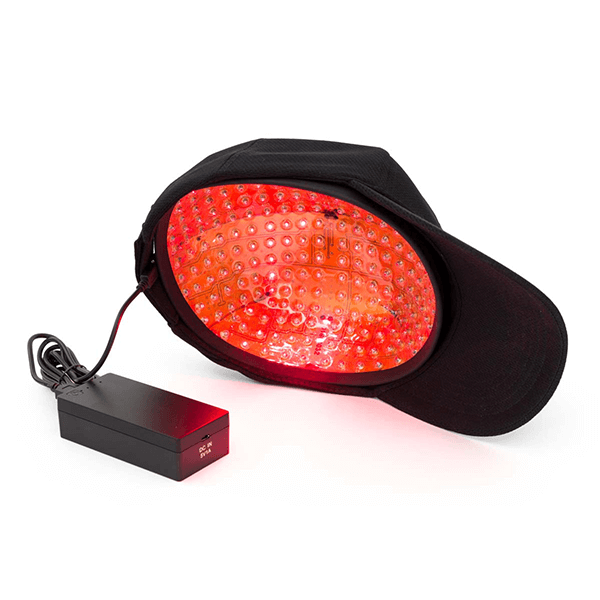 Low-level laser therapy for the baldness treatment have been used since the 70s of the twentieth century. Initially, the first devices made for this purpose were cumbersome. The procedure was performed only under the doctor’s supervision in a specialized clinic. Of course, only “elite” and rich patients could afford this method, since the cost of laser hair therapy was very high. Today’s, market offers us compact, portable and affordable laser hats. Effectively fight baldness at different stages. 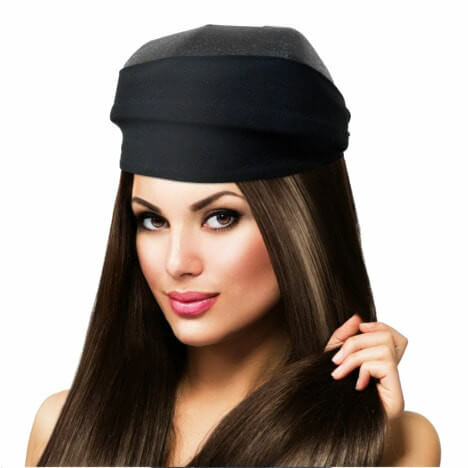 Quickly restore hair after surgery or illness. Regenerate hair after excessive care, when it looks dull and lifeless. Are all laser helmets so good? How can we choose the best model among the wide range on the market? After all, the choice is really impressive: from combs and eccentric designs, to a “hockey” laser helmet and convenient laser hat. There is no tool more effective than elementary mathematics to prove the effectiveness of a particular model of hair growth helmet. Yes, not everyone likes mathematics. Just seeing a string of numbers makes many of us flip the page. Give it at least 2–3 minutes of your time. Your awareness is important for the effective treatment of baldness. According to clinical studies, the effective treatment of alopecia requires daily exposure to 4J/cm2 of power to a depth of 1 cm from a distance of 10-15 cm for 20 minutes. The power of one laser diode is 5mW. To affect the V stage of alopecia effectively (which equals approximately 27-30 cm2), 270 to 300 laser diodes are needed. Math gives us a quick answer to the question: “How many diodes should be in the hair laser helmet for the treatment to be effective?“. The answer is simple: the model should have between 270 to 300 laser diodes. 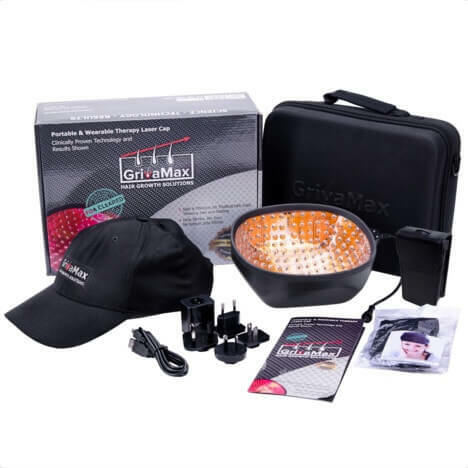 GrivaMax Laser Cap Pro 272 has the necessary number of laser diodes for effective scalp treatment. 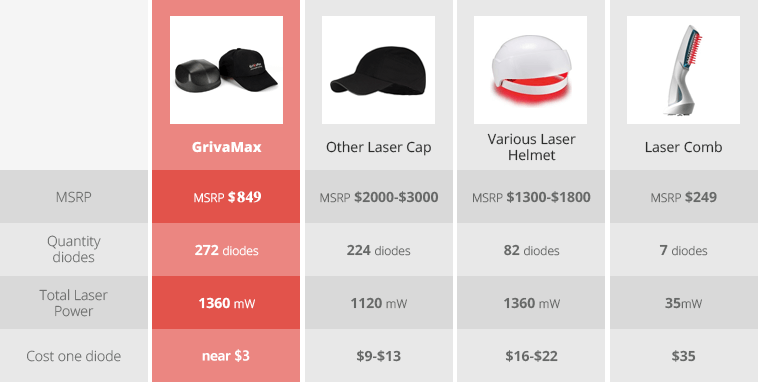 So the cost of a laser hair growth helmet would be irrelevant if it has six, twelve, or more diodes (but less than 270). This method of hair restoration would be absolutely ineffective for treating baldness. As soon as any new model of gadget appears in one part of the world, in a day or two, it will be on sale at the other end of the globe. Technologies are so advanced today, that copying and reproduction takes a few hours, but… all that glitters is not gold. 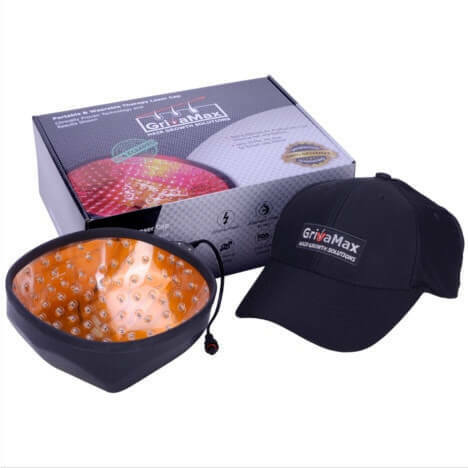 Technology compliance is very important for a laser helmet to work effectively (so that you would at least have the chance to get the result that you expect). It’s not enough to just shove LED lights in a laser hat. Yes, it will look just like lasers to a person who doesn’t know much about it, but in reality, that type of device would be totally ineffective. So you are free use any laser helmet, but that doesn’t guarantee you’ll get the results you want. Why are we buying this trick? Usually because these devices are cheap and the cost of hair restoration, in this case, will be low. You take the wrong path hoping to save money. Remember! 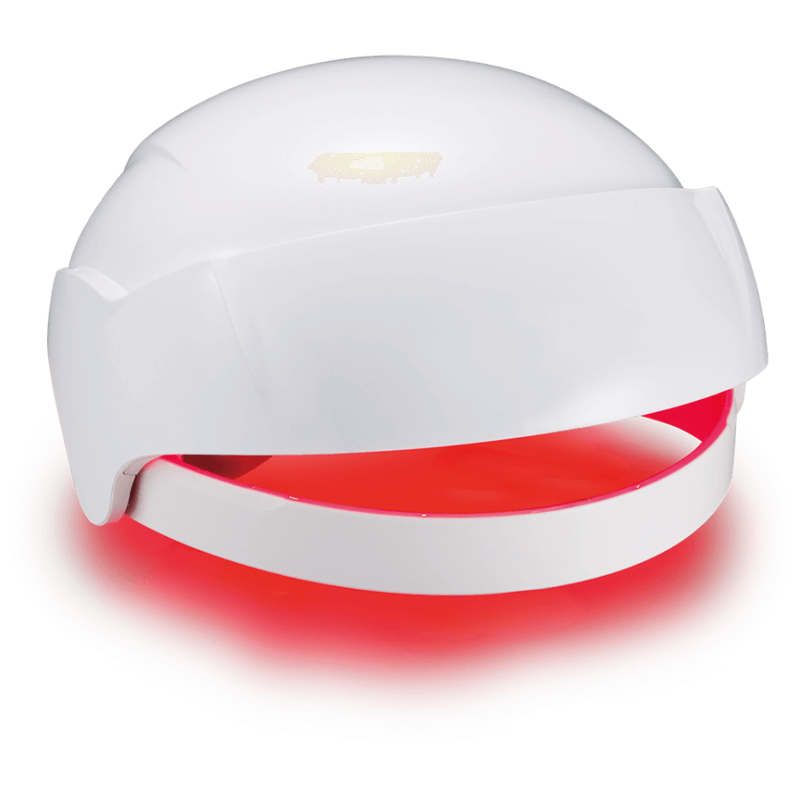 A laser helmet should have 272 red laser diodes with a wavelength of 650nm (LLLT 650nm). Only then can we talk about the right conditions for hair growth therapy. 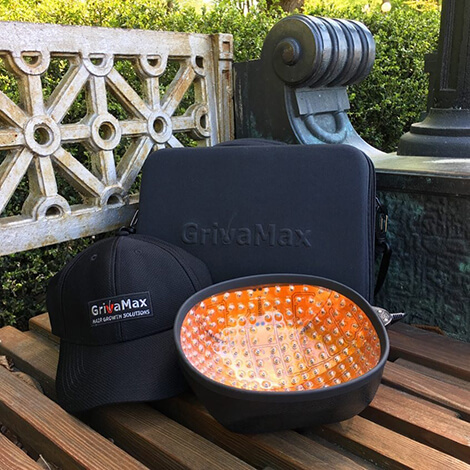 GrivaMax™ Laser Cap 272 PRO FDA 510 (K) cleared for OTC sales in the United States. Now our Laser Cap 272 PRO is currently available for sale worldwide including USA (view FDA clearance). You should understand the technical side of the device. 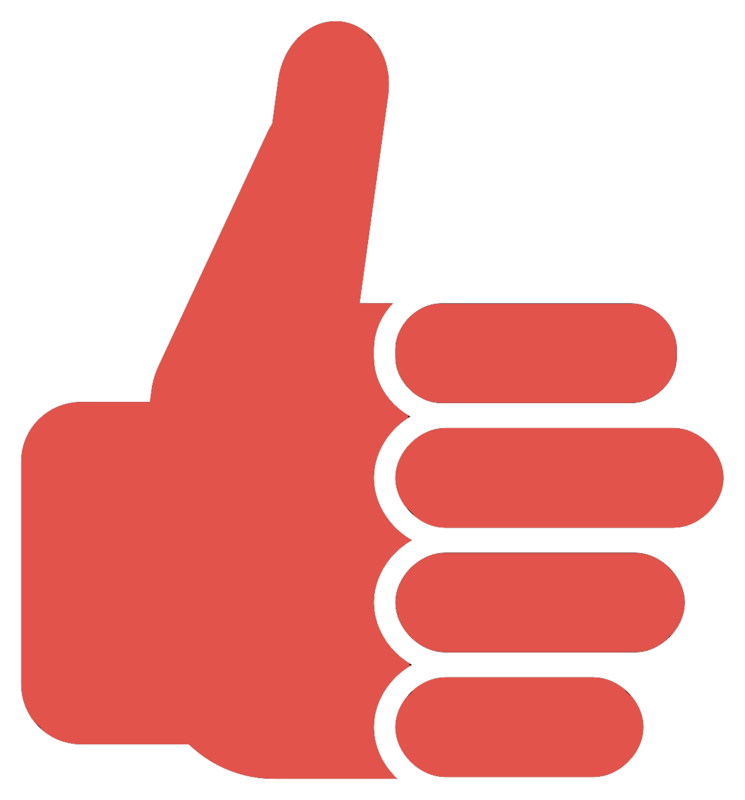 It’s time to talk about the consumer properties of the product. After all, no matter how high-tech the model, and what the cost of hair replacement is, the device should be convenient to use. Let’s imagine three situations. We are not trying to influence your decision. Just a simple discussion that might help you to make the right choice. Comb with diodes. Combing is supposed to help the process of restoration and nutrition of the hair bulb. Now let’s recall our math : “… with a force equal to 4J / cm2, to a depth of 1 cm, from a distance of 10-15 cm, for 20 minutes“. The calculation means that the effect should last for at least 20 minutes, which is almost unreal. Try to hold your hand in the same position for 20 minutes, then change the direction and keep going. It will take forever! The effectiveness of this procedure is very questionable. Hair growth helmet. Yes, on one hand, it seems to be convenient. Wear the helmet and relax while the diodes are working. On the other hand… it is still necessary to devote your time to the procedure. You should stay at home (well, in order not to make the neighbors laugh with your appearance). It’s recommended to not move during session (laser helmet is heavy and doesn’t fit securely on the head). 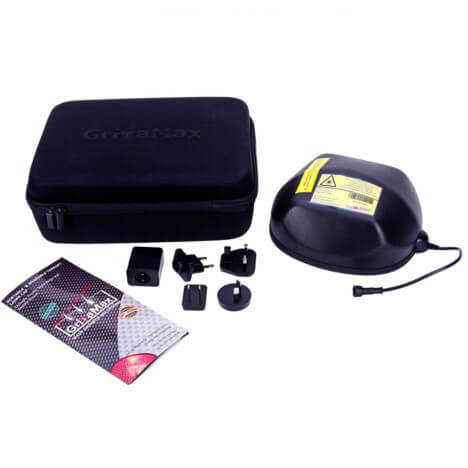 Laser helmets on the market usually have from 54 to 120 laser diodes. As we have learned from our previous math calculations, this number doesn’t meet the necessary requirement for a successful therapy. Laser hat from GrivaMax is a convenient and compact helmet that you can wear with a baseball cap. You can use it anywhere: at home, at work, outside, or in the car. 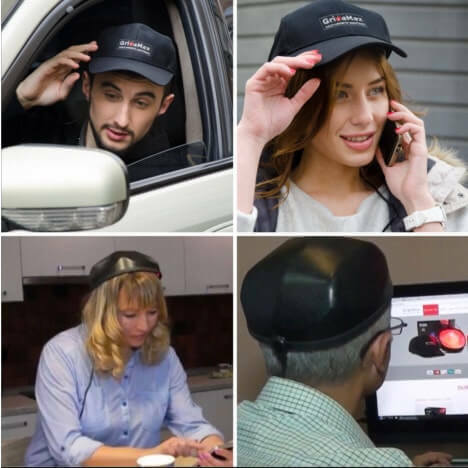 From the outside, the device looks like a regular baseball cap. 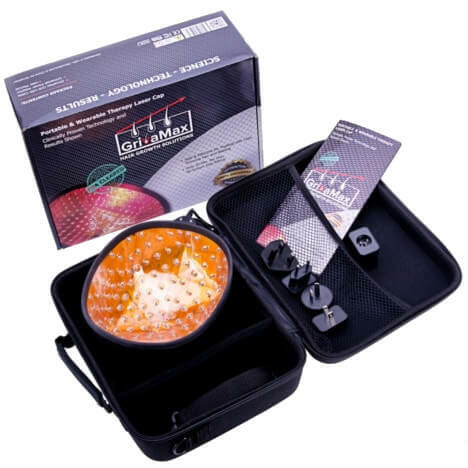 On the inside, there is a special cap that has «… 272 red ​​laser diodes with a wavelength of 650nm». 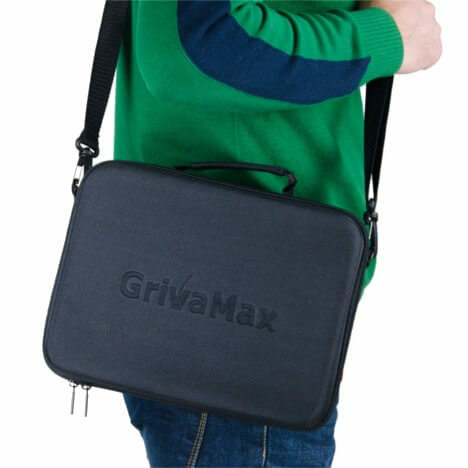 Whatever you are doing, the device will keep working, providing the necessary effectiveness of the procedure. 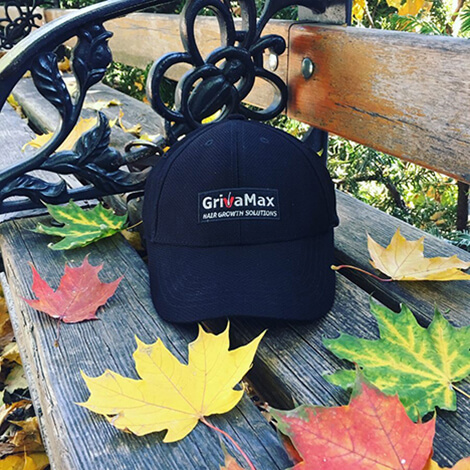 GrivaMax Cap includes a time sensor with an audible signal that is integrated into the model, so the device will automatically turn off after 30 minutes. Your safety is important to us. When choosing between two identical laser helmets for hair you would normally compare prices. There is nothing wrong with that. 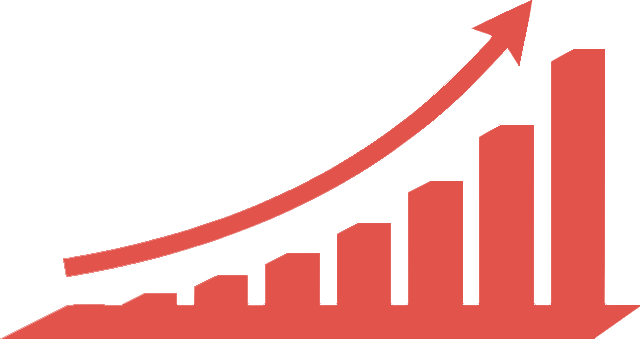 Why should you overpay? Automatic switch-off. 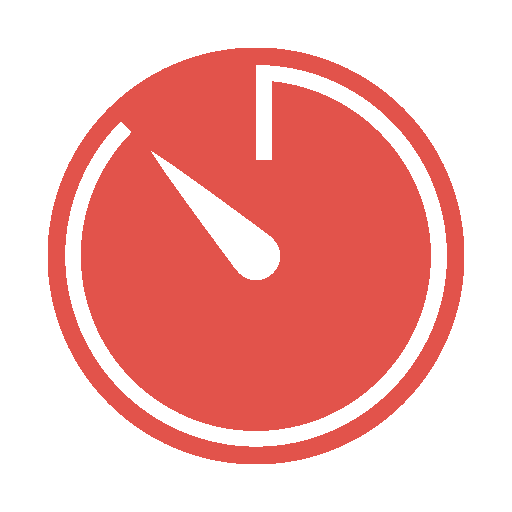 30 minute timer with a sound signal. Red laser diodes with a wavelength of 650 nm. Strong ABS cover and copper cooling sheet. 5000mah battery of a big capacity compared to regular 2200mah battery. IC incharge of electric current voltage and also the shining time frequency. 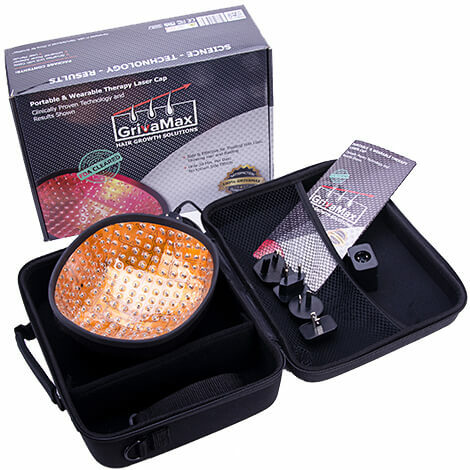 IC in the laser cap is very secure and can supply the whole unit. We offer the best price in the market – this is the last figure in our article;) – less than $4 per diode! 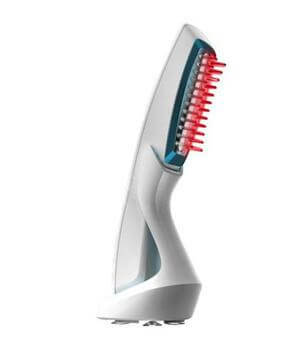 Compare, decide, and then buy with us – the best device to treat baldness and restore the beauty of your hair!